Aruba is an absolute dream of a place to visit. 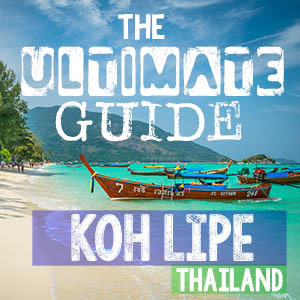 With a host of idyllic beaches just waiting to be explored, it really does feel like you’re in paradise. The beautiful waters that surround the island peacefully lap at the perfect white beaches and sipping on a cool drink while taking in the stunning scenery before you is just heavenly. There is one place, however, that stands alone in terms of uniqueness, Flamingo Beach! Flamingo Beach Aruba is famous for the amazing, exotic flamingos that roam the beach, and the photos and memories you take away from your day with them will last a lifetime. It is a truly magical experience having them come so close to you, and these majestic creatures paint such a pretty picture reflected in the shallow waters of the island. Standing on one leg and the perfect shade of pink, the flamboyance of flamingos definitely makes this beach a special place to visit. An Instagram sensation, these famous flamingos have been popping up everywhere on the internet, and visiting them has become more popular than ever. If it’s the perfect selfie that you’re after, then these lovely creatures are remarkably obliging; providing countless photo opportunities. Unfortunately, you can’t just turn up and expect to find flamingos everywhere you look in Aruba. Flamingo Beach Aruba is actually on a private island, so you’re going to need to put a bit of thought and effort into seeing these elegant birds. To help you out, we’ve come up with everything you need to know about visiting this beautiful spot and its lovely feathered residents. With just a little bit of planning, you’ll soon be taking the perfect picture with your newfound flamingo friends. As mentioned before, the beach is privately owned, which means that it’s not open to the general public. Because of this, it’s best to plan your trip to see the flamingos well ahead of time so that you don’t miss out on this special place. The beach is located on a small island just off Aruba named Renaissance Island; owned by the Renaissance Aruba Resort. The hotel itself is based not far from the airport in Oranjestad the capital of the island and from here hotel staff ferry visitors and guests to the island where they can enjoy Flamingo Beach Aruba. The boats leave promptly every fifteen minutes and the journey itself is a super novel. The boat turns up right at the reception of the hotel and you have to scan your key card or pass to get on board. It then weaves its way along a small canal before taking to the warm waters of the Caribbean, in what is just an eight-minute voyage to Renaissance Island. The exclusive nature of the private island means that the number of visitors is very limited. Consequently, when you’re lounging on the beach or taking photos with the flamingos, you’ll really be able to relax in this peaceful earthly paradise and feel like a VIP. But first, you need to get there. To meet the fabulous flamingos, you’re going to have to choose between two price options. How Much Does Visting Flamingo Beach Cost? Renaissance Island is only accessible to guests of the resort, who get free access. If the hotel is not full, they open up a maximum of thirty places on a first come, first served basis to non-guests. This obviously means that you risk not seeing the flamingos if you decide not to stay at the hotel and it is fully-booked. These day-passes cost $125 per person, including the boat ride to and from the island as well as lunch and a drink. If you do decide to take this option, then it is a good idea to inquire at the hotel a couple of days before to see if they think they will have spots available. As they only open up space to non-guests when they are at less than eighty percent capacity; it can be a struggle to get one of the few spots available to visit the island. Therefore, the only way to guarantee to see the flamingos is to book a room at the hotel. The cost of a room at the Renaissance Aruba Resort can reach as low as $150 for one night, though the vast majority of the time you’ll end up paying more than that. It is a lovely place to stay, however, and has a fantastic pool, as well as Renaissance Island itself, so it’s not a bad option if you have your heart set on visiting Flamingo Beach Aruba. We would suggest spending the first or last night of your trip to Aruba at the Renaissance Aruba. If you did get two day passes you would pay $200 you mine as well stay the night and guarantee yourself a trip to Flamingo Beach and it’s a nights hotel in Aruba. The island is absolutely beautiful to behold and it really is a lovely place to visit; after all, it is an idyllic island in the Caribbean. The island is divided into two parts comprising an adult’s section, which includes our fine-feathered flamingo friends, and a family section. The adults can hang out drinking cocktails at Flamingo Beach Aruba, while the families have fun at Iguana Beach. Both beaches have free deckchairs and towels for you to use and you can also find hammocks dotted about. The perfect white beaches of the island are ideal for walks, as palm trees and mangroves line the crystal-clear waters, which are amazing for swimming. Watch out though, because it does get pretty hot and sunny on the island and there isn’t much shade; it may be a good idea to hire one of the private bungalows that are available to take the heat off for a bit. As well as the beautiful beaches, there is a spa, fitness center, tennis courts, as well as a bar and restaurant. You can also get aquatic and try out some of the water sports that are on offer. The gorgeous pink flamingos are what draw people to Renaissance Island and, although it would still be worth visiting without them, it is the majestic birds that really make the place a memorable experience. It’s differently the most unique beach in Aruba. The beach is perfect for sitting back, relaxing, and watching the world go by. The flamingos that roam the sand and shallow waters make this a picture-perfect scene. It’s amazing to see how they just casually walk between the sunbeds and you can easily approach them without scaring them. It’s a really relaxing place and the flamingos will either be wandering about the beach or perched on one leg in that distinctive flamingo-pose when they are asleep. Whether asleep or awake, they always provide a fantastic photo opportunity. A lovely thing to do is to feed these beautiful birds. There’s a machine that sells special flamingo food, and it feels like you’re in a fairytale when they calmly and gently eat out of your hand. Being so close to them with the island paradise all around you is what really makes Flamingo Beach Aruba a special experience. To feed the flamingos, it is best to go early in the morning around 8 am, when the beach is even quieter and emptier than usual. Just so you don’t get the wrong idea, there aren’t actually that many of the birds. At the moment, there are only six who live at the resort full-time, although from time-to-time they do have their own flamingo guests who come to pay them a visit. As they are free-ranging birds, other flamingos sometimes come to join them at the beach to pass the time, before heading off to wherever it is that flamingos go. As mentioned before, the beach is usually for adults only, so if you’re traveling with children, make sure to get to Renaissance Island in the morning, as children are only permitted to visit the flamingos from 9-10am. This is to help keep things calm and avoid the flamingos from being disturbed. While the flamingos are obviously the main draw, Flamingo Beach is a fully-functioning sandy paradise for you to enjoy. As it has a bar and a restaurant you can happily spend all day here, lounging in the sun and then retreating to the bar for some fantastic cocktails when it gets a bit too hot or when you feel that urge for a refreshing fruity drink. The Mangrove Beach Bar is nice to hang out at and the cocktails are amongst the best in the whole of Aruba. With its quaint ramshackle charm, the bar fits in perfectly amongst the stunning scenery on show. Nearby you can find the Papagayo Bar & Grill which has an excellent range of tasty dishes for you to try. Surrounding the island is a delightful mangrove forest which is magical to explore as the trees sprout up from the crystal clear waters, hiding small fish among their roots. Tiny hermit crabs scurry across the sands and largeish iguanas can sometimes be seen on Flamingo Beach although most of them prefer to bask in the sun at the appropriately named Iguana Beach. If you wander along to the end of Flamingo Beach you will find a secluded ‘Nature Trail’ which weaves its way between the mangroves. While it is beautiful to wander along, it is mosquito infested so watch out and make sure to slather on some insect repellant or put on some long-sleeved clothes before attempting the walk. Away from the beaches, it really does feel like you are on a remote island, a million miles away from the rest of the world. After exploring the mangroves, it’s a good idea to wash off and refresh yourself in the beautiful waters bordering Flamingo Beach. Perfect for photos, its idyllic sands have lovely swaying palm trees overlooking them and there are numerous loungers for you to recline on. The service here is fantastic and you can always order drinks from your beach chair so that you don’t have to get up and miss out on any sun time. With bathrooms, towels and of course flamingos all readily available – it’s not a bad spot to spend the day! If you’re looking for more adventure then Flamingo Beach has more than enough to keep you entertained and there are a number of watersports for you to try out. A lovely way to view the island from another perspective is to rent a kayak or paddle boat and to take to the surrounding waters, looking back at the dreamy island behind you. Below the waves, you can gaze at all the pretty fish swimming by as you scuba dive in the pristine waters surrounding the island. If diving isn’t your thing then snorkeling may be the perfect compromise as the amazing visibility means that you’ll see almost as much without having to dive down into the depths of the ocean. After a long hard day of enjoying all that Flamingo Beach Aruba has to offer, why not relax even further and enjoy a delightful massage? Overlooking the ocean, Spa Cove is a marvelous spot and the perfect place to end a beautiful day in paradise. The island is open to guests from 7 am to 6 pm each day, so you can spend the whole day basking in its glory if you feel like it. Once a week it is possible to book a dinner on the island that begins at 7 pm, once most people have left the island. This is a lovely thing to do as it’s not every day that you get to have a delicious dinner on an almost deserted Caribbean island. Fortunately, Aruba is not located in the Caribbean hurricane belt that is so frequently hit by epic storms to such devastating effect. As such, that means it’s also possible to visit during the summer, unlike other islands further north. The best time of year to visit the island is from April to May. We traveled to Aruba in August & November and had sunny weather each time the entire week, there was always a breeze to cool us down. Away from Flamingo Beach Aruba, there are loads of other great ways to spend your time on the island. Although leaving your new pink friends behind will be tough, there are many other spectacular sights just waiting to be discovered. The island itself is a mix of contrasting habitats; while one side is lined with an endless number of drool-worthy beaches, the other is more desolate and wild. A great way to explore and get further afield is to rent a 4×4 and drive around the island taking in its sights. Apart from the beaches, here are a few ideas for you to explore. One of the prettiest places to visit is Arikok National Park, which is huge and takes up nearly twenty percent of the island. There’s so much to see in the park and the landscape changes beautifully before your eyes, making it a spectacular place to go hiking. Cacti dot the area, as do lots of other fauna and flora, which colorfully light up this rocky park. Home to a range of different animals and birds, visiting Arikok is a great way to get out amongst the wilderness and see the island from an entirely different perspective. There are also a couple of impressive caves which have cave paintings dating back over a thousand years, created by some of the island’s earliest, arty inhabitants. For a panoramic view over the island, head to Arikok Hilltop and take in the vista before you. It costs $11 per person to enter this magnificent park. Inside Arikok there is another stunning place which you must visit: Aruba Natural Pool. Also known as Conchi Natural Pool, this amazing site is located on the rocky northeastern coast of the island, and is well worth the journey to get there. While waves coming in from the Caribbean pound the coastline, this natural pool is protected by rocks around it, which means that its tranquil waters are the ideal place for a dip. Its beautiful clear water looks refreshing and tempting, surrounded by the wild and jagged rocks all around it. The contrast of this gorgeous pool amidst the stark scenery looks awesome. While it is safe to swim in the pool, (you can also jump off the cliff if you feel brave enough) it is best to be careful as it can be slippery. You’ll need a 4×4 to get here, though it is also possible to hike from the park’s visitor center. It’s a really impressive spot to hang out, so definitely try and make it here; it really is a world away from life at Flamingo Beach Aruba. We recommend this ATV tour to the Aruba Natural Pool for only $78. On the opposite side of the island, you’ll find the harbor city of Oranjestad: the colorful capital and largest city of Aruba. Here there are lots of shops selling knick-knacks and souvenirs, as well as some nice restaurants that will give you a feel for the local cuisine. It’s also a great place to have one of the local Balashi Beers which hail from the island. It’s super easy to transit around Oranjestad, using the tramway system to explore the culture and history of this exciting city. From here there are also a variety of water sports that you can try your hand at, such as snorkeling, boating, parasailing, and fishing. We would be coming into Aruba on a cruise ship. Is it reasonable to get to the island with the time we have? We get in around 9am and leave at 4pm. Yes, you should be able to, but make sure to arrange your trip in advance to ensure you get a spot and to maximize your time on the island. We’re going to the Renaissance tomorrow! Thanks for all the tips! Have a blast at Flamingo Beach and take a few selfies for us. Thank you a million times over for this very clear explanation of Flamingo Island. My daughter got it into her head that Aruba was full of flamingos, and it was great to be able to get a reality check. Glad we could help! Yes, there is only one place to find Flamingos in Aruba and it’s on the private island, they are not found anywhere else in Aruba. 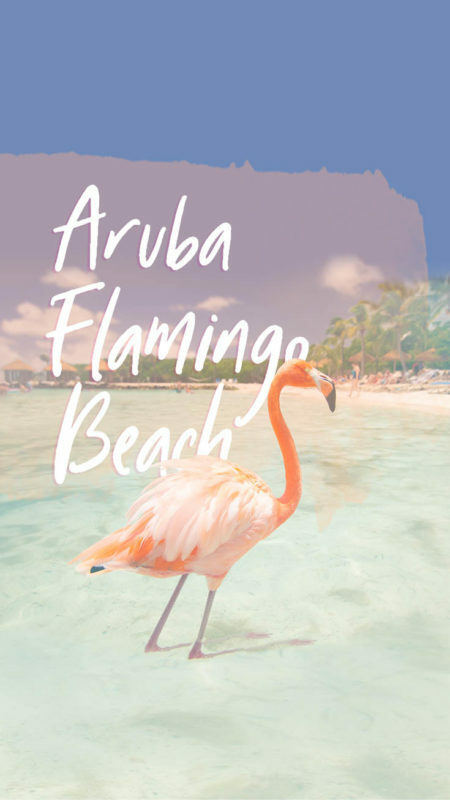 I loved your article, it was very useful since I will visit Aruba in December of this year; The first thing I will do is bathe in flamingo beach, it looks very interesting. Flamingo Beach should definitely be one of the first things you do in Aruba, you will have a blast! Have fun in paradise.